Ninh Binh is located in the southernmost gateway of the North and Red River Delta Vietnam. The region was the capital of Vietnam in X century, an important area of military over the period of Dinh, Tien Le, Ly, Tran, Tay Son Dynasty. 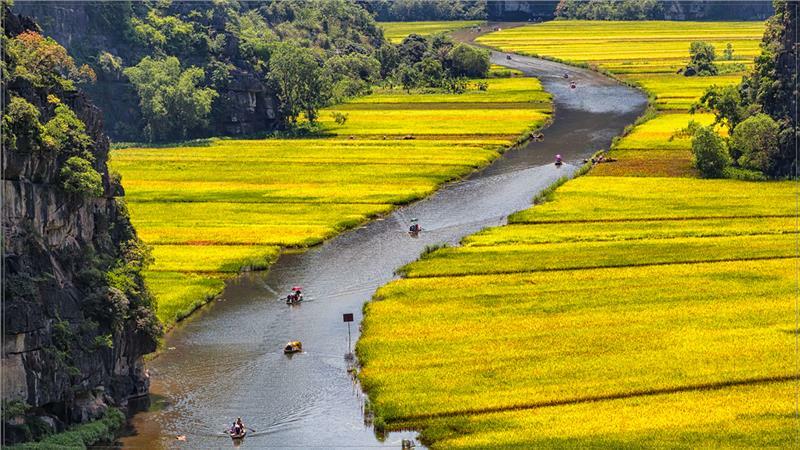 With the prime location in term of transport, terrain, history and culture, Ninh Binh retains a rich and diverse potential of tourism. 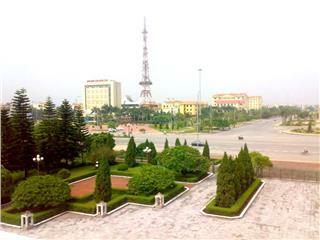 It is considered as a miniature Vietnam. Geographical location: Ninh Binh is situated in the boundary of 3 geographic regions: Northwest, Red River Delta, and North Central Coast. 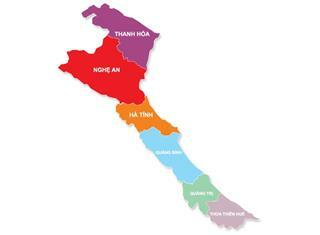 The province is adjacent Hoa Binh to the north, with Nam Dinh and Day River to the east, with Thanh Hoa to the west, and with Gulf of Tonkin to the southeast. 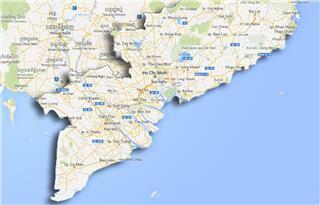 Ninh Binh, the province center is far about 93 km from Hanoi capital to the south. 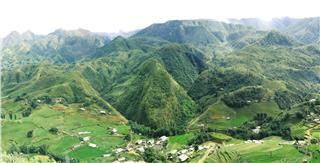 Terrain: There are 3 kinds of terrains in Ninh Binh. 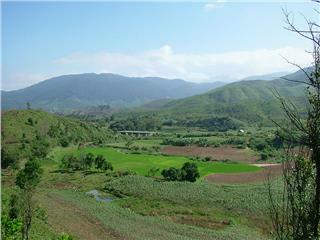 The mountainous region in the northwest includes Nho Quan district, Gia Vien district, Hoa Lu district, and Tam Diep district. The coastal region in the southeast covers Kim Son and Yen Khanh district. Alternating between 2 above region is the trasition delta. 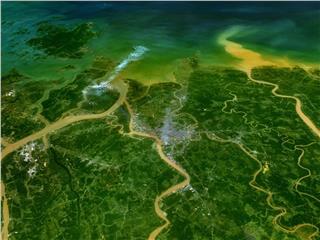 Ninh Binh owns a long coastline of 18km. Coastal and marine region in Ninh Binh has been recognized as the world biosphere reserve by UNESCO. 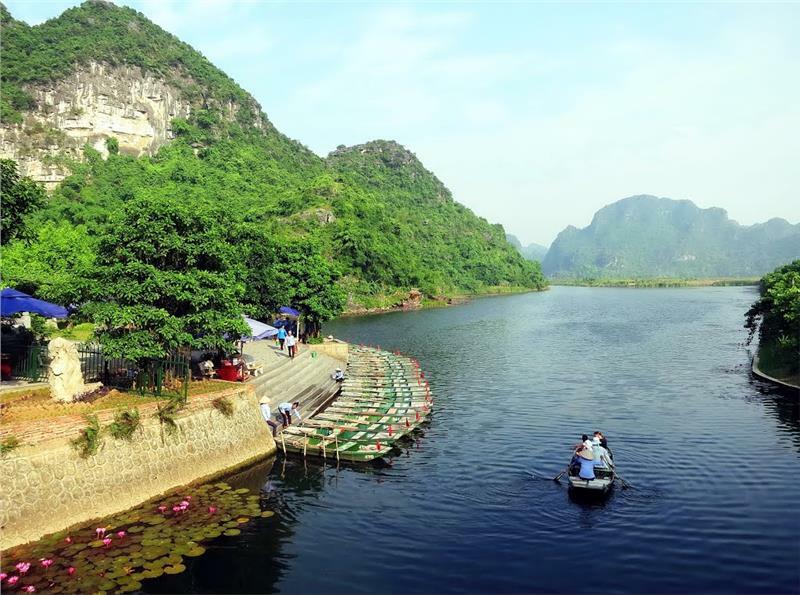 Climate: Ninh Binh places in the sub-tropical climate region: with the hot and humid summer from May to September; the cold and dry winters from November to March; April and October is relatively the spring and the the autumn. The climate in Ninh Binh is fairly moderate. The average temperature is 23.5 °C. 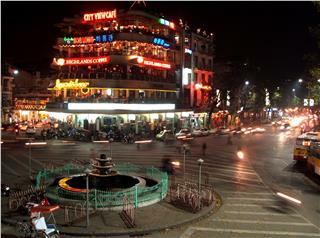 Ninh Binh city was formerly Van Sang town of Thanh Hoa, of which the center was Dai Nang village. According to geographic documents, under Nguyen Dynasty, the citadel of Ninh Binh was built with quite solid bricks with Middlle Gate in the east, Left Gate in the west, and Right Gate in the north. 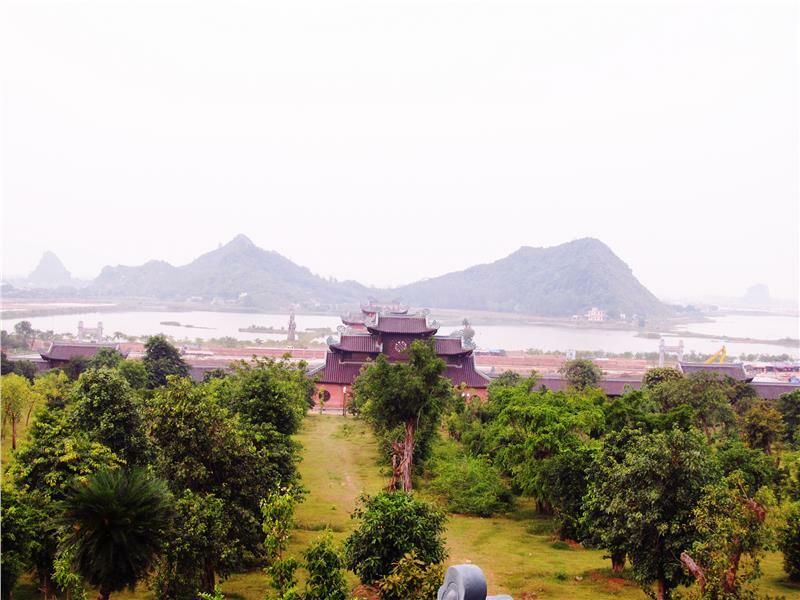 Next to the French colonial period, the French constructed and turned the citadel into a fairly bustling metropolis in north of North Delta and set it as a county of Ninh Binh province. Accordingly, many new neighborhoods, namely Pesit Street, Cha Sau (Father Sau) Street, Nha Tho (Church) Street, Cau Lim Street, Gia Nua Street..., and many two-storey houses were established. However, in French resistance, implementing the Government undertakings, Ninh Binh city demolished most of houses, streets, and offices to join in the resistance. After the restoration of peace, the city was rebuilt. 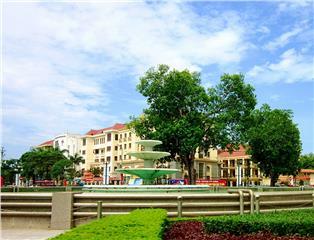 Thus, Ninh Binh city now is a young city, owns urban landscapes bringing the appearance of modern metropolis. Ninh Binh covers interferometry region among Northwest, Red River Delta, and North Central Coast. Thanks to this feature, Ninh Binh culture becomes reasonably dynamic, and creates unique characteristics on the basis of Red River Delta civilization. There are 2 main religions in the province: Buddhism and Catholic, of which 15% of population is Catholic. 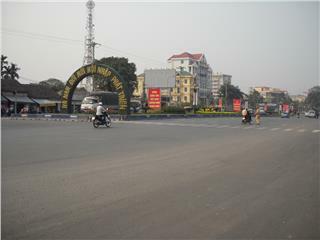 Ninh Binh comprises 1 city, 1 town, and 6 district (147 commune-level administrative units consists of 125 communes, 15 wards and 7 counties): Ninh Binh city; Tam Diep town; Gia Vien district, Hoa Lu district, Kim Son district, Nho Quan district,Yen Khanh district, Yen Mo district. There is a majority of Kinh and Muong ethnic people in population structure in Ninh Binh. Besides, the province is home to other ethnic groups, such as Tay, Nung, Thai, Hoa, Hmong, Dao...Every ethnic people retains a number of population from a dozen to over a hundred people. Generally, almost ethnic groups lives in scattered localities in the province, not forming certain ethnic communities, and deeply affected by culture, customs and habits of the Kinh people. The Vietnamese is the official language and commonly used in the region. 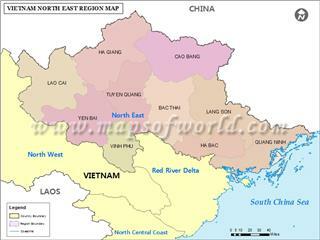 Ninh Binh owns an important location of North gateway and key economic region in the North. It is a transition region of economic and cultural exchanges between Red River Delta and North Central, between North Delta and Northwest mountainous region. 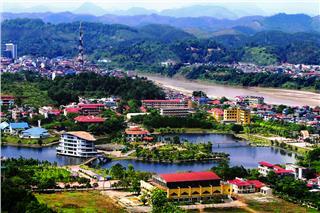 In particular, the highlight strength of economy in Ninh Binh is the industry of building materials and tourism. In recently, Ninh Binh economy consecutively grows in 2-digits. In 2010, province-level competitiveness index ranked 11/63. 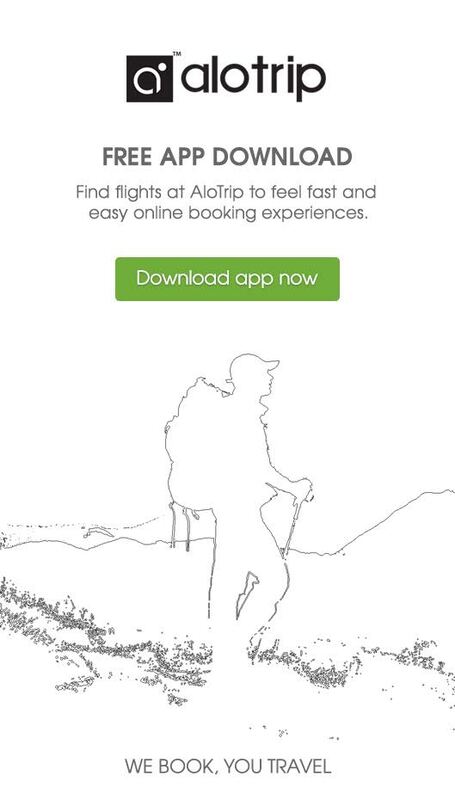 The province continuously lies on the leading province group in the North. 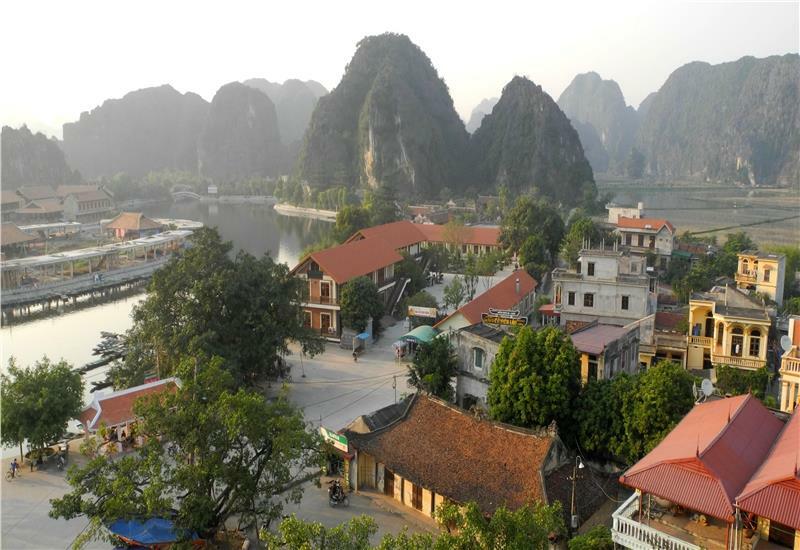 Ninh Binh is one of provinces attracting much large foreign investment capital in Vietnam. 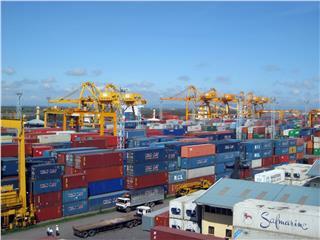 The province reached budget revenue of VND 3,100 billion. In detail, economic structure in GDP in 2011 is relatively: Industry - construction: 46.35%; Agriculture, forestry, and fishery: 13.9%; service: 39.6%. Health: Up to 2010, Ninh Binh health sector owns 2 military hospitals, namely Military Hospital 5 of Military Region 3and Military Hospital 145 of Military Corp 1; 7 provincial hospitals, namely Ninh Binh General Hospital, Ninh Binh Traditional Medicine Hospital, Nursing- Rehabilitation Hospital, Ninh Binh Lung and Tuberculosis Disease Hospital, Ninh Binh Mental Hospital, Ninh Binh Maternity and Children's Hospital, and Ninh Binh Eye Hospital. Education and training: The province owns Hoa Lu University and 4 colleges: Ninh Binh Motor Vocational College, LILAMA-1 Vocational College, Ninh Binh Medicine College, and Tam Diep Construction, Mechanization Electrification Vocational College. 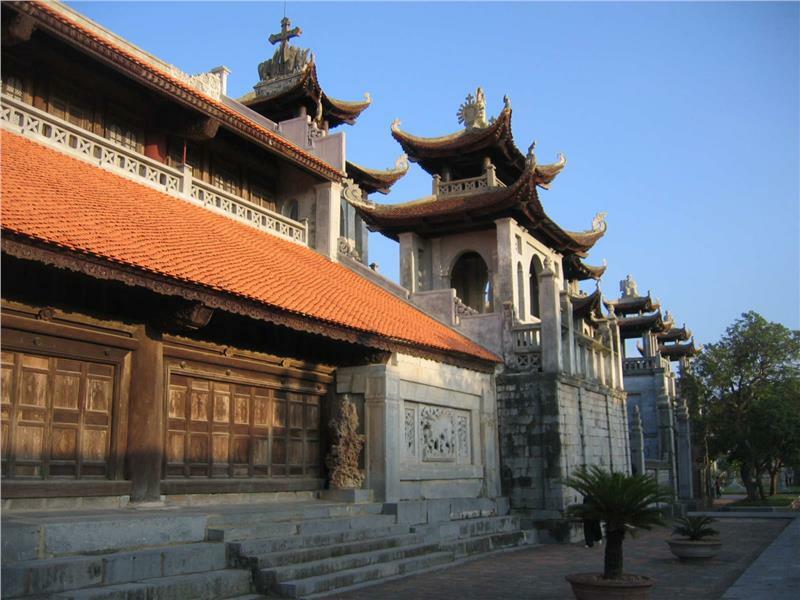 Hoa Lu Ancient Capital was the capital of the first centralized feudal state in Vietnam. There are currently many monuments of palaces, temples, tombs...related to Dinh Dynasty, Tien Le Dynasty and Ly Dynasty. 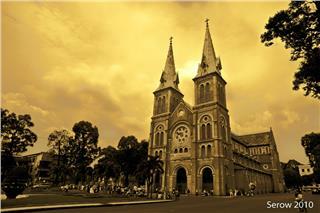 It is recognized as special national monuments by Vietnam Government. 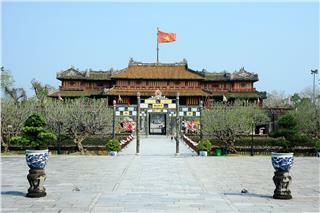 Bai Dinh Pagoda is a complex of ancient and new temple zones with the scale of the largest temple in Southeast Asia. Trang An Scenic Landscape Complex is attractive with the system of caves, forests and historical relics associated with the citadel of Hoa Lu ancient capital. It has been ranked as special national monument and recognized by UNESCO as world natural and cultural heritage. Cuc Phuong National Park with the primary forest area of 22,000 hectares is the first national park recognized as a world natural heritage in Vietnam. The park owns many rare and valuable animals and plants, thousand-year-old oaks. Phat Diem Cathedral, the world's cultural heritage is the religious architectural works with the harmonious combination of eastern and western architecture. It is actually a unique stone architecture. Van Long Nature Reserve is the largest wetland natural reservation area in the North Delta. Here, it can be easy to find Kenh Ga hot-water springs, Van Trinh Cave, Kem Trong and many beautiful mountainous caves. Ninh Binh is home to many unique cultural festivals. 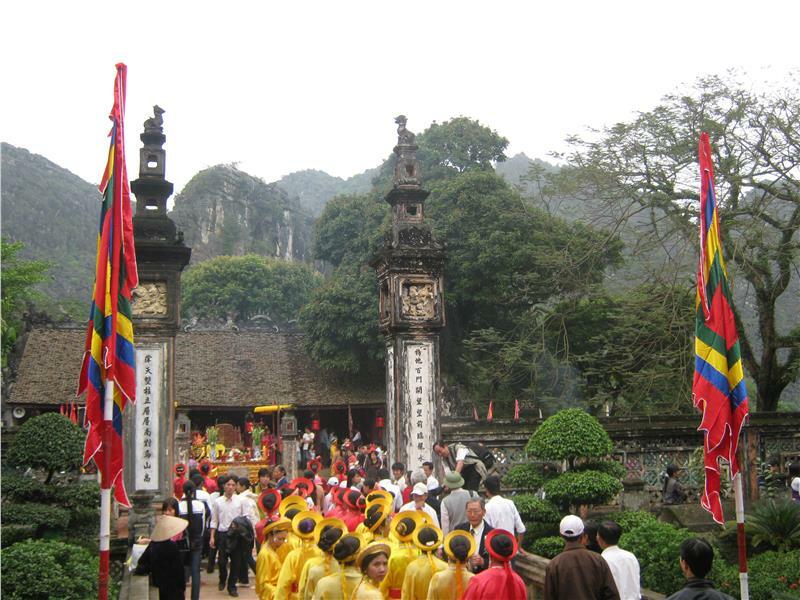 According to recent statistics, Ninh Binh currently maintains 443 traditional festivals. Almost cultural festivals in Ninh Binh take place in the spring, except for festivals honoring celebrities. There are some well-known Ninh Binh festivals: Hoa Lu ancient capital festival, Bai Dinh Pagoda festival, Nguyen Cong Tru Temple festival, Thai Vi Temple festival... Other festivals: Yen Cu festival, Tap Minh village festival, Hao Lu Cave festival, Saint Nguyen Temple festival, Tran Temple Ninh Binh festival. 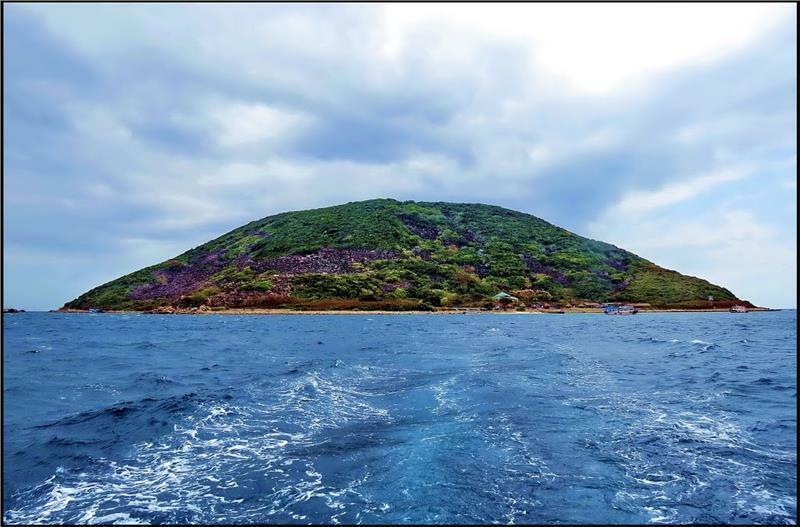 Nam Dinh, a supernatural land are making great contribution to the changing process of the country and to the modernization and industrialization activities with growing numbers of factories, industrial zones, processing areas. 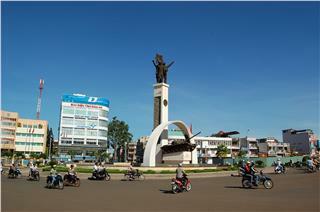 Hai Duong is one of seven provinces lying in the key economic region of the North Vietnam. 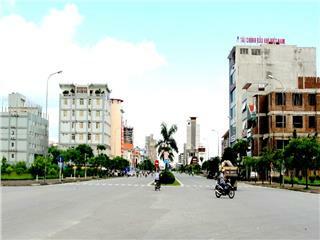 With favorale location, Hai Duong has many advantageous conditions to develop economy, culture, society and tourism. 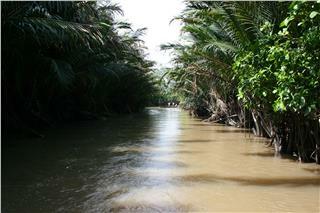 Thai Binh is a coastal province in the Red River Delta Vietnam. 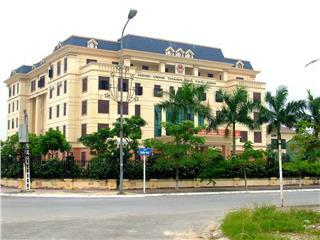 The provincial center is Thai Binh city, located about 110km far from Hanoi to the southeast, about 70km away from Haiphong City to the southwest. 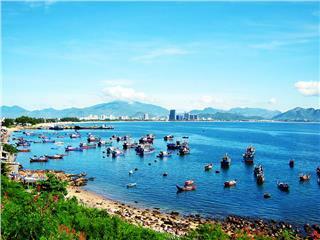 Hung Yen is located on the right bank of the Red River, the center of the North Delta - the land of cultural tradition for a long time. 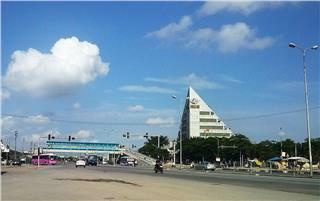 With its favorable geographical location, flat terrain, Hung Yen has many advantages to develop economy and tourism. After 15 years of reestablishment, thanks to implementing the policies and guidelines of the Party and State, Vinh Phuc province has striven to overcome the difficulties and challenges and has achieved many important and proud accomplishments. Located on on the bridge connecting key economics regions in the North with the plain in the south Red River, Ha Nam has a significiant contribution to the development of Vietnam in all fields from economy to society. Located in the Red River Delta Vietnam, on the economic corridor between Vietnam and China, Haiphong has the important position of the economy, society, information technology and national defense and security in the North and the country.